If you have been involved in a car accident in New Orleans, a slip and fall accident in Metairie, an Uber or Lyft accident or a commercial trucking accident in Louisiana, you may need a personal injury trial lawyer. 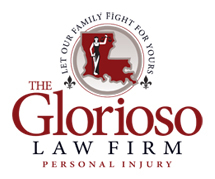 Throughout the last combined 90 years that The Glorioso Law Firm has been handling personal injury cases, we have seen every type of injury from minor injuries to the most severe and horrific injuries. Our attorneys have the experience and skill to get you the best result possible. In a lot of cases, people suffer injuries to their spine such as a bulging and/or herniated disc which can be in the cervical spine (neck), the lumbar spine (back) and/or the thoracic spine (mid back). These injuries can be caused by trauma such as a car accident or slip and fall. These types of injuries are called disc injuries and are also called whiplash injuries or extension injuries. If you have been in a car accident, slip and fall, Uber accident or trucking accident and believe you have been injured or suffered a back or neck injury call us today for a free evaluation and consultation. In addition to contacting a personal injury lawyer, seek immediate medical attention. We can help you in deciding what type of doctor to see if this is your first time being injured. It’s important to see a doctor as soon as possible to document your pain and to get help with your injury. If your pain is severe enough you may need to go to the emergency room. Other times, a family doctor may be the best first doctor to see. There are also chiropractors and Orthopedist that can evaluate and treat a back or neck injury. Often times, physical therapy will be recommended and their are many physical therapy clinics that can help. If your pain doesn’t go away, you may need to see a pain management specialist or a specialized surgeon. In the most severe cases, epidural steroid injections or spine surgeries may be recommended. The worse thing you can do is to ignore or delay seeing a doctor thinking your pain will go away in a few months. If you don’t see a doctor for several months and your pain doesn’t go away, the defendant in your case will most likely argue that you can’t be that hurt if you didn’t see a doctor for several months. In fact, the law in Louisiana says that an injured person has a duty to mitigate their damages. This means that if seeing a doctor and getting treatment will help with your pain then you should see a doctor and get treatment. The Glorioso Law Firm can help guide you through all of this. Call The Glorioso Law Firm today.